The Care Touch Alcohol Wipes prep your skin prior to injection. It is saturated with 70% isopropyl alcohol for antiseptic skin injection. Alcohol wipes are most commonly used to clean the skin prior to an injection or drawing blood. Cleansing the skin helps prevent bacteria from entering the body and causing infection. It is great for first-aid kits, clinics, home use , or for people that need to prick their skin for either drawing blood or to inject medications - such as diabetics. Our Care Touch Alcohol Pads measure 2x2 inches and are of high quality. Each alcohol pad is individually wrapped to keep it sterile and moist. The package is a four layer wrap so it provides an air tight seal. 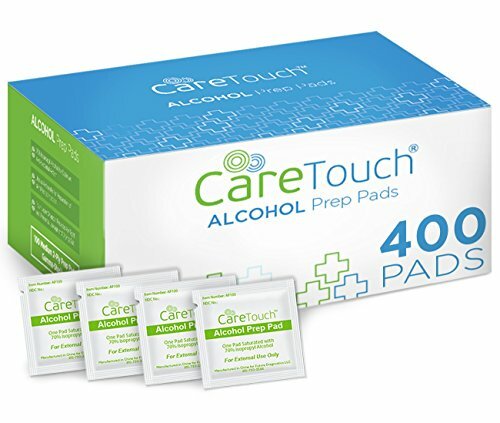 Get these Care Touch Alcohol Wipes for a great deal! 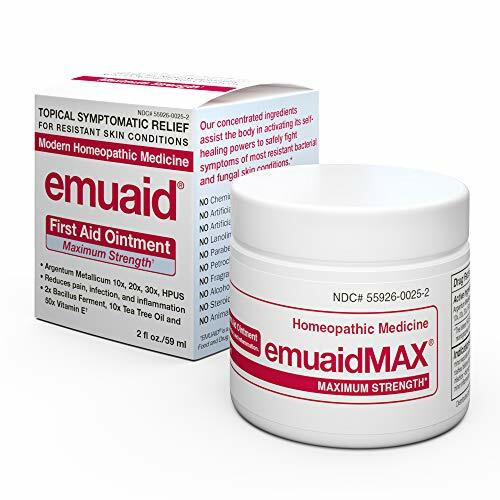 EmuaidMAX Ointment - Antifungal, Eczema Cream. Maximum Strength Treatment. Use Max Strength for Athletes Foot, Psoriasis, Jock Itch, Anti Itch, Ringworm, Rash, Shingles and Skin Yeast Infection. First aid antiseptic. 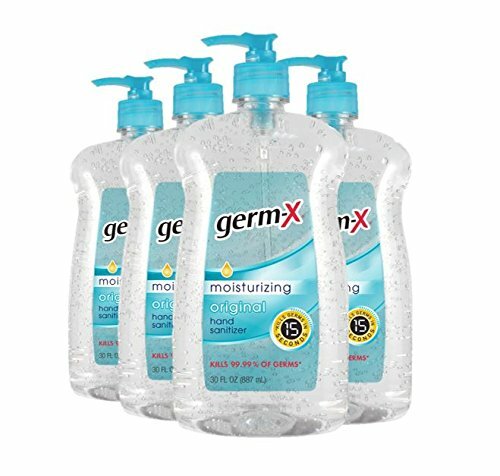 To decrease germs in minor cuts and scrapes. 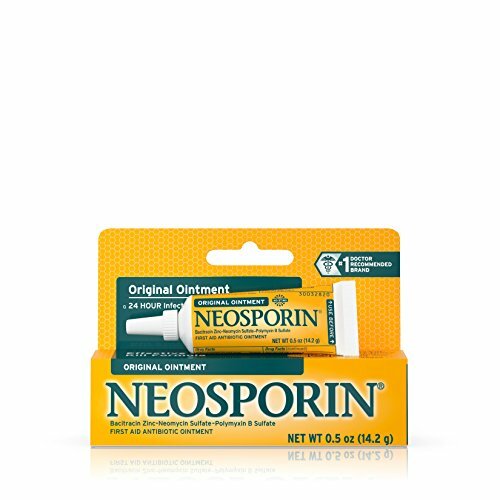 Neosporin Original Ointment provides long-lasting infection protection and minimizes the appearance of scars. Made with bacitracin zinc, this first aid antibiotic ointment helps prevent infection in minor cuts, scrapes, and burns. 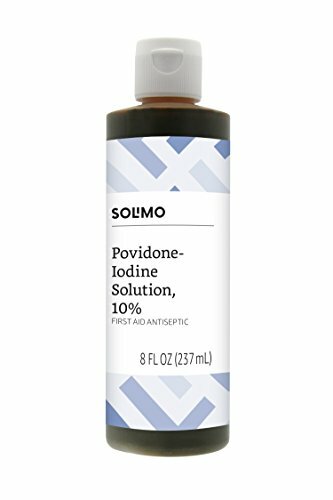 From the number-one doctor-recommended brand, this antibiotic ointment contains a unique Heliderm Technology that provides a nourishing environment for skin to heal. To treat minor wounds, simply apply a small amount of the 24-hour infection protection antibiotic ointment and scar minimizer on the affected area one to three times daily and enjoy healthy healing with less visible scars. Two truths: your baby wants to touch everything and everyone wants to touch your baby. It s a beautiful thing. Except for the germs. Our alcohol-free foaming hand sanitizer is a must have around irresistible babies. 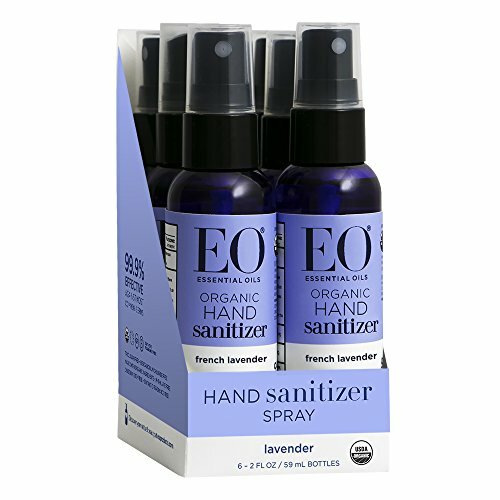 Our hand sanitizer with plant-derived ingredients keeps hands germ-free on the go. Our sanitizer kills 99.9% of germs in as little as 15 seconds. ace it, wherever you go, dirt & germs are already there. With Wet Ones Antibacterial Hand Wipe Travel Packs and pocket-sized Singles along for the ride, dirt and bacteria doesn't stand a chance. 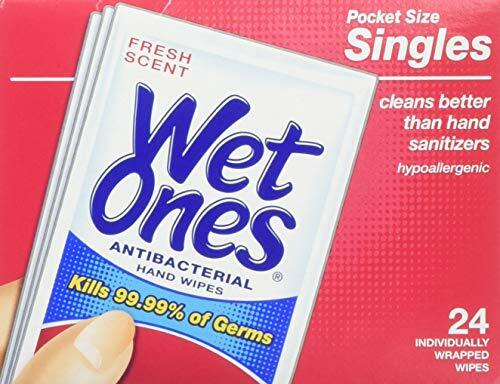 Wet Ones wipes kill 99.99% of bacteria, but they're gentle on your hands. Helps to protect and heal skin irritations from incontinence, minor burns, scrapes, diaper rash or wound drainage. 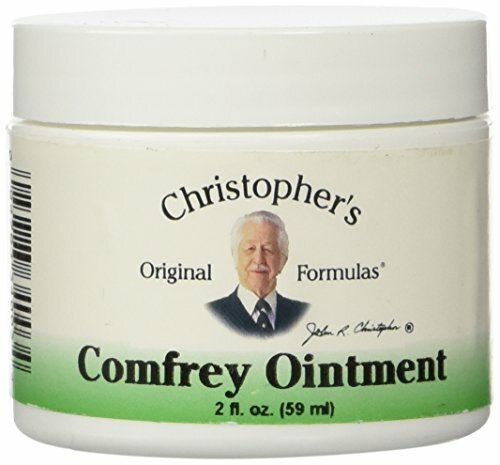 Temporarily relieves discomfort and itching. Provides a multiple purpose moisture barrier. Contains calamine, zinc oxide, menthol and lanolin. temporarily relieves discomfort and itching. Provides a multiple purpose moisture barrier. 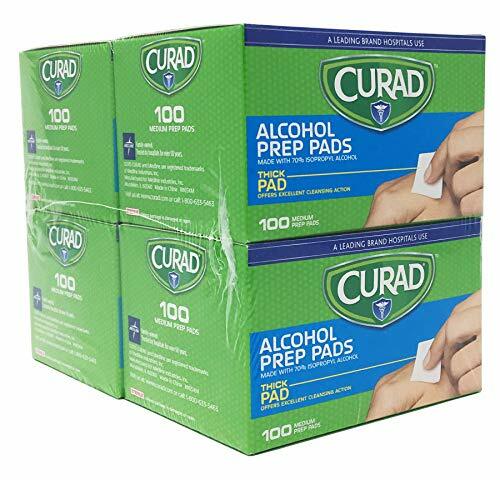 Cuard Alcohol Prep Pads are thick to provide excellent cleansing action. Each alcohol swab is individually sealed for convenience and safety. Made with 70% isopropyl alcohol. 400 alcohol swabs. 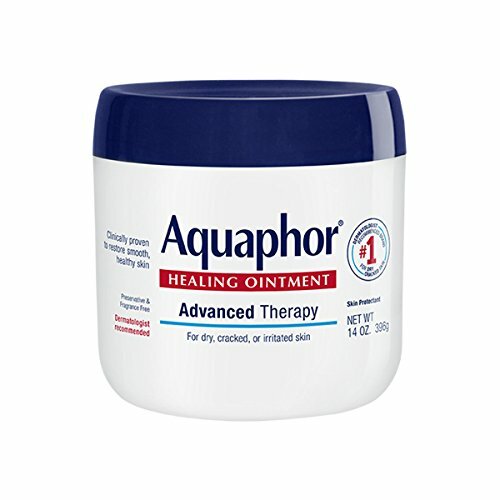 Aquaphor Healing Ointment, 14 oz. The 14 oz. 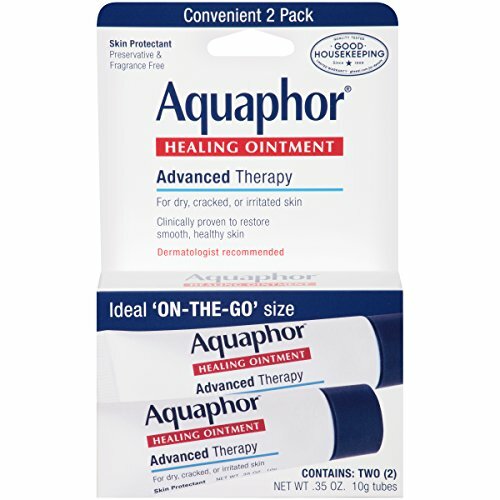 Aquaphor original formula ointment is a great value and is internationally licenced by preston with a limited lifetime warranty. 081019371 number 37019M is categorized in the lymphedema products department. DESCRIPTION: treats dry, damaged skin; minor burns. Hypoallergenic; no fragrances or preservatives to irritate sensitive skin. Latex free. 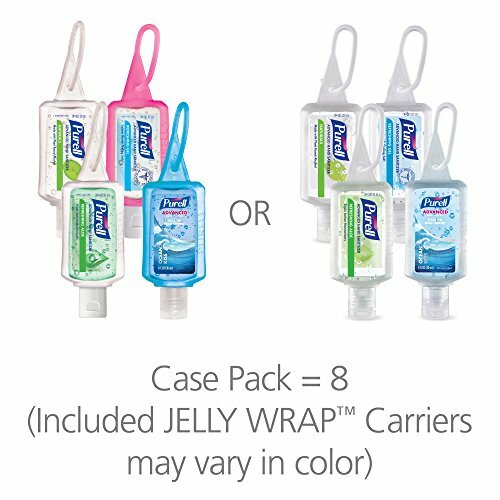 PURELL Instant Had Sanitizer scents includes Jelly Wrap carriers. Scents include: Ocean Kiss, Naturals, Aloe, and Original. Convenient 1-ounce flip top cap bottle attaches to purses, backpacks, key chains, diaper bags or gym bags, and goes along where your life takes you. Kills the most germs, just one squirt of Purell Advanced Hand Sanitizer kills as many germs as 2 squirts of any other national brand. Enhanced with four nourishing skin-conditioning agents, a skin-friendly formulation that's mild on hands. Equipped with a subtle and refreshing fragrance, our 30 oz. 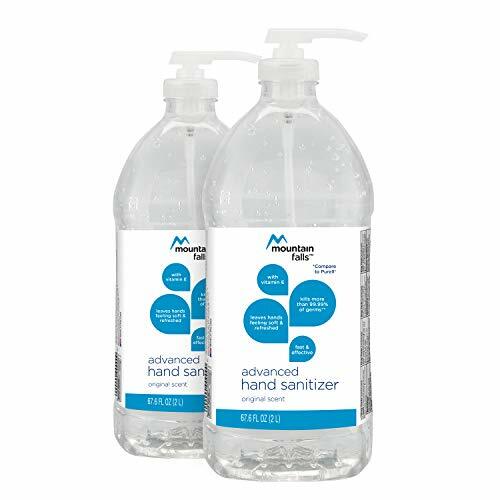 original hand sanitizer is a perfect counter or desk-sized germ fighter. Whether you're at home or on the job, our original formula is by your side wherever you need it most. Your Germ-Killing Companion, at Home or on the Job. Sometimes, nothing beats an original. Equipped with a subtle and refreshing fragrance, our 8 fl oz. 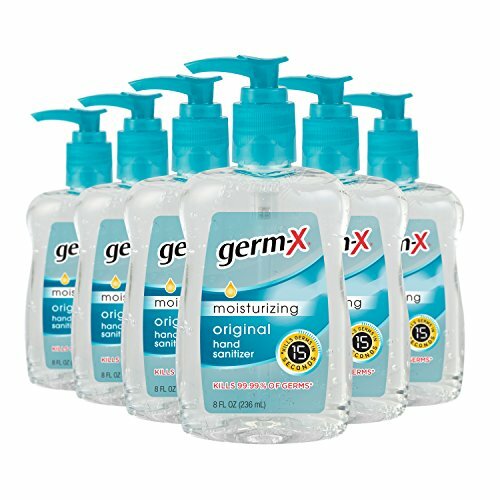 original hand sanitizer is a perfect counter or desk-size germ fighter. Whether you're at home or on the job, our original formula is by your side wherever you need it most. Vaseline Jelly is the original skin protectant, it has been used to protect, help heal, and lock in moisture for dry skin since 1870. To this day, it effectively cares for your skin. Vaseline Petroleum Jelly Original is triple-purified and hypoallergenic, and is the ideal product for a multitude of uses, including sensitive skin. Hypoallergenic Pure Petroleum Jelly Vaseline Petroleum Jelly Original is a product you can trust. Its triple-purification seal guarantees each jar of Vaseline Jelly has been purified not once, but three times to remove impurities. It is dermatologist recommended and has been given the U.S. National Eczema Association Seal of Acceptance as appropriate for use by those with eczema and people with sensitive skin. Vaseline Petroleum Jelly Original is fragrance free, hypoallergenic, non-irritating, and non-comedogenic (it won't clog your pores). Vaseline Jelly Uses Original Vaseline Jelly has many uses, including personal care, baby care, and beauty. By sealing in moisture, it assists the skin's natural recovery to help dry skin heal. This can rejuvenate visibly dry skin and help reduce the appearance of fine, dry lines. 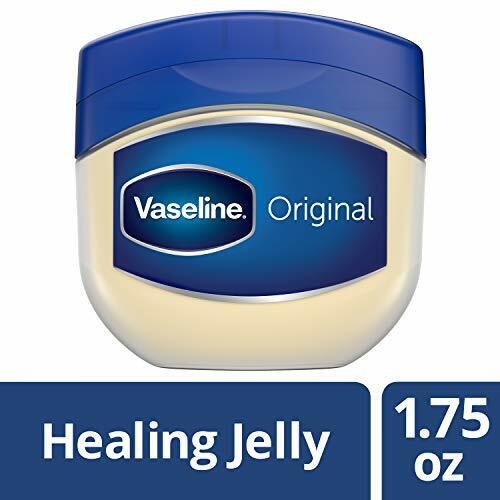 Vaseline Jelly creates a protective barrier that protects skin against environmental factors, such as windburn - and has been used for over 100 years to protect minor cuts, scrapes, and burns. Many of Vaseline's dry skin lotions contain petroleum jelly, to give your skin the extra care it needs. Explore the range and enjoy the healing power of Vaseline. Made with100% pure petroleum jelly. Triple-purified. Purity guaranteed. Dermatologist Recommended, hypoallergenic and non-comedogenic (won't clog pores). Brand: EO | Manufacturer: EO Products / Small World Trading Co. The perfect choice for disinfecting skin before an injection or measurement , these Brandzig Sterile Alcohol Prep Pads are 2-ply, fully antiseptic and saturated with alcohol . Each pad measures 2 x 2 in size, gamma-treated for sterility to ensure safe and effective use. Each prep pad is saturated with 70% isopropyl alcohol for optimum antibacterial action , killing more than 99.9% of germs and disinfecting the treated site. 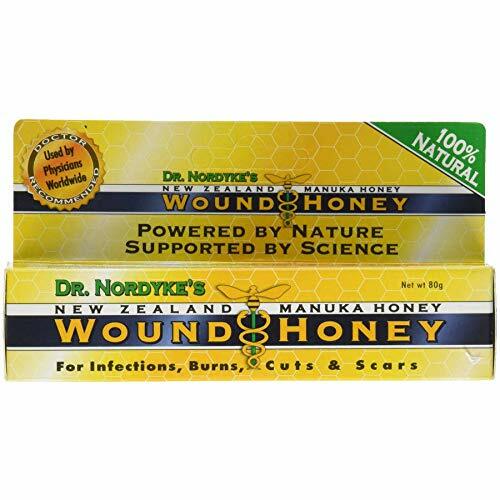 This makes it a great antiseptic for preparation of skin prior to injection, as well as to help prevent infection for minor cuts and scrapes. It s also great for sterilizing and disinfecting lancets and pen needles. For sterility, each alcohol prep pad is individually sealed in a 4-layer wrapper to provide an airtight seal. Not only does this prevent leakage and drying out , but it also ensures that no contaminants can get inside the packaging and compromise the product itself. 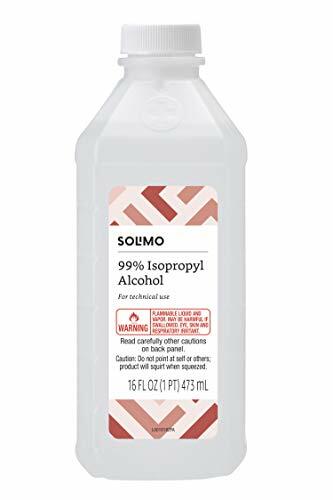 Produced to the highest professional standards, these FDA-approved Sterile Alcohol Prep Pads are environmentally safe. They re available in 300- and 400-count packages , ensuring a sufficient supply in pediatric clinics, hospitals, pharmacies and homes . These individually wrapped alcohol pads are also handy to keep in first-aid kits, purses and overnight bags when you re on the go. QUALITY CONSTRICTION. Measuring 2" x 2" in size, these Brandzig Sterile Alcohol Prep Pads are designed to sanitize the skin in order to reduce the chance of infection. Each medium, 2-ply alcohol pad is gamma-treated for sterility. ANTISEPTIC. Alcohol Prep Pads are ideally used as an antiseptic to prepare the skin prior to an injection. 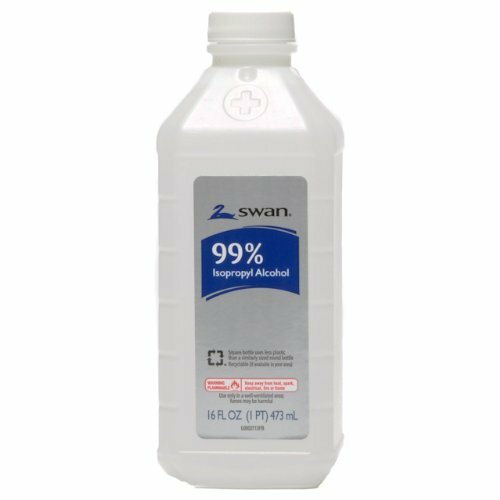 Each pad is saturated with 70% isopropyl alcohol to supply optimum antibacterial action, killing more than 99.9% of germs. VERSATILE USE. In addition to prepping skin, these pads can be used for sterilizing and disinfecting lancets and pen needles. They're ideal for doctors, pediatric clinics, hospitals, pharmacies, first-aid kits and home use. CHOICE OF SIZE. 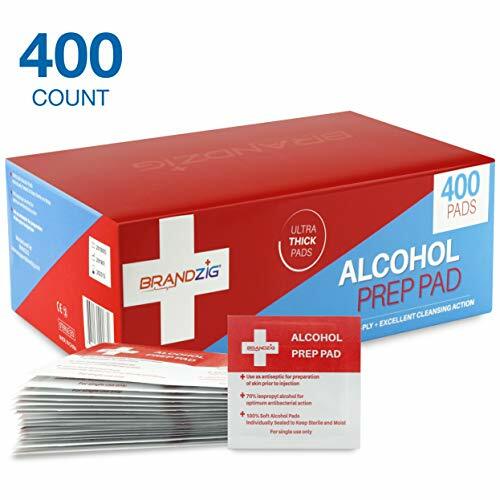 Brandzig Sterile Alcohol Prep Pads are available in in 300- and 400-count boxes to accommodate your needs. This sufficient supply ensures you always have a disinfecting pad handy when needed. STERILE PADS. Each prep pad is individually wrapped and sealed to keep it sterile. The 4-layer wrapper provides an airtight seal, preventing leakage and drying out to keep the pad moist and ready for use. 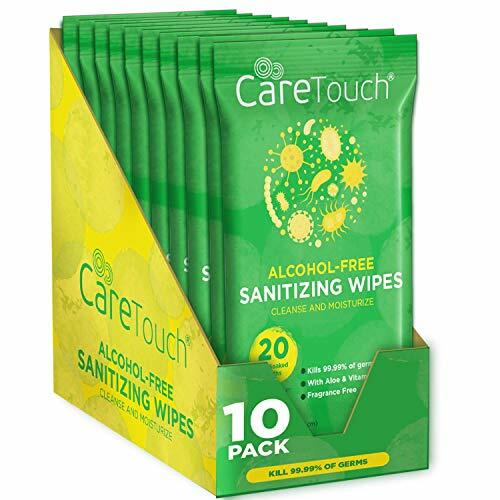 Care Touch's Alcohol-Free Antibacterial Wipes are both gentle and effective. 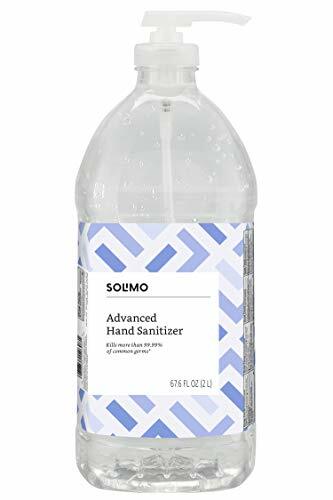 While most antibacterial hand sanitizing wipes are made with alcohol, they can often be overpowering and damaging to sensitive skin. Other wipes have a high concentration of alcohol, which removes moisture and natural oils found on skin as it evaporates. Care Touch's alcohol-free formula not only kills germs, but nourishes and reinvigorates skin with moisture and vitamins. This makes it the perfect companion for travelling bags, purses, gym bags, offices, cars, and classrooms. Care Touch offers you a sanitizing wipe strong enough to kill germs, but gentle enough for a baby's face. FRAGRANCE FREE - Care Touch wipes are scent-free, and do not leave a strong lingering smell of perfume or alcohol associated with other wipes. GREAT FOR SENSITIVE SKIN - When alcohol evaporates it also takes with it essential oils and moisture from your skin. Our wipes contain Vitamin E and Aloe in order to replenish and moisturize your skin. 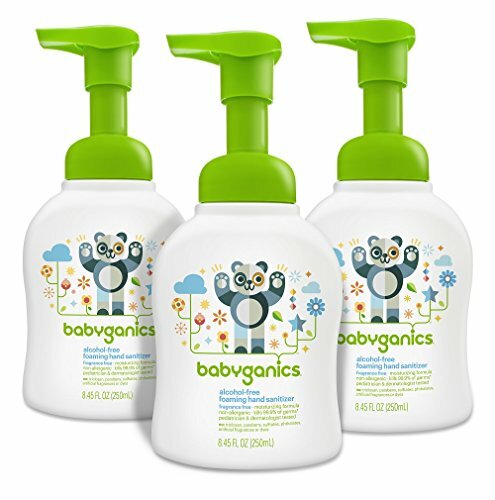 SAFE FOR CHILDREN - These wipes are great for toddlers and small children because they lack the harmful chemicals and high concentrations of alcohol found in other wipes that are potentially damaging to skin. They are soft, gentle, and make the perfect addition to any diaper bag. They can be used for wiping on the go, or just cleaning messy sauce off a child's face. COMPACT AND TRAVEL READY - The package is small and resealable, making them the perfect travel wipes. They will fit comfortably in any travel bag or car, and are a great alternative to liquid hand sanitizers, which won't make it past TSA. RESEALABLE AND MOISTURE LOCKING - The box contains 10 resealable packs of 20 pre-soaked cloths. The seal is airtight, and keeps the moisture locked into the cloth, ensuring that the wipes stay soft and fresh. Brand of Honeybee Gardens. Honeybee Gardens Nail Enamel Fairy Dust - 0.5 fl oz. Manufactured in USA. 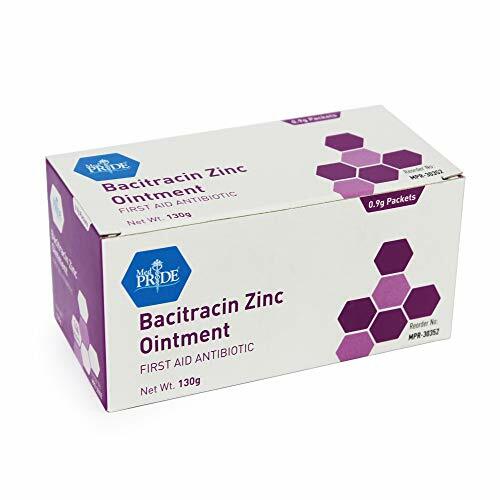 An all-around essential ointment to have around the house, the Bacitracin Zinc Ointment by Medpride can be a major help in soothing chaffing, rashes, dermatitis and dry/ itchy skin. Bacitracin: prevents minor skin infections caused by small cuts, scrapes or burns on the skin and stops the growth of certain bacteria. The Medpride antibiotic ointment creates a protective coating on the skin that allows it to heal faster while helping with inflammation and instantly soothing itchiness. Get your pack of the Medpride Bacitracin Zinc Ointment today and never be found unprepared when you need it the most! 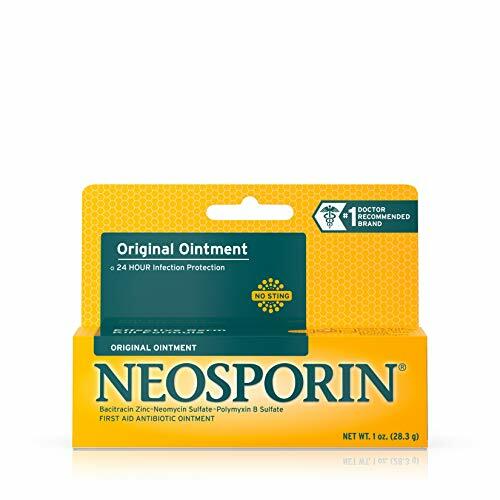 PREVENTS INFECTION: Antibiotic Ointment with active ingredients that offers relief for minor skin irritations, itching/ rashes while also helps prevent infection in minor cuts, scrapes and burns. FIRST-AID ESSENTIALS: The Medpride Bacitracin Zinc Ointment is a must have for every household as it can aid in very common situations like: chaffing, dermatitis, eczema, itchy or dry skin. PREVENTS MINOR SKIN INFECTIONS: Our Antibiotic Ointment prevents bacterial growth that may lead to infections caused by small cuts, accidental punctures, scrapes or burns, making it one of the most useful ointments to have in your home at all times. MUST-HAVE FOR NEW PARENTS: Creates a water-resistant coating that works especially well with irritated/ dry skin that allows for faster recuperation. 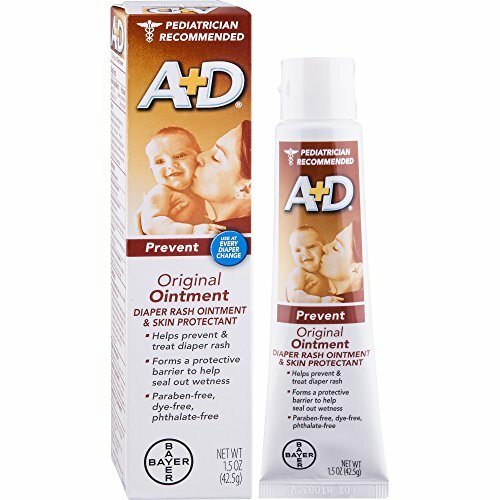 An ideal choice for diaper rash, our ointment can soothe your baby's skin irritations fast and efficiently. ENHANCED RESULTS: The Bacitracin component of our ointment is combined with Zinc. Zinc is an essential mineral found throughout our bodies that helps infection resistance and plays a highly important role in tissue repair. 8 Fl Oz bottle of first aid antiseptic to help prevent risk of infection from minor cuts, scrapes, and burns.